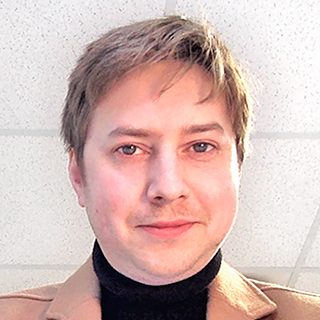 Dan is Assistant Professor and Chair of Design Studies at Carnegie Mellon University in Pittsburgh, Pennsylvania, and founder and director of the Imaginaries Lab, a new research group. 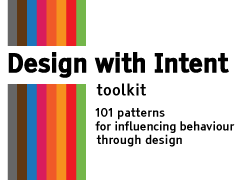 He is a researcher specialising in the links between design and human action, drawing on influences from a range of fields, brought together in the Design with Intent toolkit (2010). Dan is interested in questions of how we understand the world—institutions, the environment, cities, infrastructures, technologies and complex systems around us—how they, in turn, understand us, and what we do about it. He is also a visiting tutor at the Royal College of Art, London. How can creating new metaphors help us design new kinds of interactions and interfaces, and even understand the world differently? Metaphors are central to lots of interaction design, but we don't always slow down to examine the metaphors we're using, and whether alternatives might offer something different — creative ways to understand data and the ways things work, new forms of (often more qualitative) interface, and new ways for people to interact with the systems around them. At a bigger scale, becoming fluent in strategic generation of new metaphors could help designers contribute to reframing societal and cultural issues, to enable new perspectives on global challenges from climate change to alternative economic systems. In the New Metaphors workshop at UxLx, we'll be exploring and creating novel metaphors and analogical links between ideas and phenomena in the world—cross-pollination between art and technology, human experience and interaction design. We’ll use a process of metaphor generation inspired by Gregory Bateson’s “syllogism in grass”, a poetic approach to logic, to generate ideas for different kinds of interface, and then mock-up these interfaces to enable a critical reflection on how they might help us understand the world differently, through making hidden relationships and qualities more experiential and expressable in new ways. The workshop should benefit people with creative minds, whatever their formal position. It would suit interaction and user experience designers who have some experience in existing interface design, and/or visualisation and sketching, and/or paper prototyping. But beginners and more senior people might also get some useful insights through either bringing their own fresh perspective, or having their preconceptions challenged. How we think about the world affects what we do. The imaginaries we have—the stories we tell ourselves and each other, the language and framings and metaphors we use, the associations and mental imagery that come to mind when we think about concepts—make a difference to the way we approach the issues that affect us, from the personal decisions of everyday life right up to global challenges such as climate change and the rise of extreme populism. "How do we understand?" is becoming increasingly important as we become enmeshed in complex systems of nature, technology and society, from ecosystems to AI to big data to our own health. Design research—techniques and methods developed by designers for use in developing new products and services—can offer new perspectives on exploring these imaginaries and their consequences for human behavior, complementing social and cognitive sciences with an experiential layer. Design can also help us go beyond characterising what we have already, and actively develop and propose new ways to understand, and new ways to live, supporting people’s imagining and helping them conceive of new perspectives. In this talk, I'll explore these areas through practical examples drawing on my work, with colleagues, in Europe and the US tackling topics including energy, local government, design for behavior change, and creating new metaphors.